At the time of this review (3/14/2019), the book holds a 4.1-star review on Amazon with 251 reviews. Book Obtained By: Won as part of a YA basket of books donated by Editor Lydia Sharp of Entangled Publishing, at the NEORWA Cleveland Rocks Conference, Sept. 2018). “Mila was living with her mother in a small Minnesota town when she discovered she was also living a lie. She was never meant to learn the truth about her identity. She was never supposed to remember the past—that she was built in a computer science lab and programmed to do things real people would never do. Now she has no choice but to run—from the dangerous operatives who want her terminated because she knows too much, and a mysterious group who wants to capture her alive and unlock her advanced technology. Get ready to cheer for Mila as she struggles to find herself after making the earth-shattering discovery that she was created in a lab. Her mom has a lot of explaining to do, but Mila’s not ready to hear much of it. She’d rather chase after the boy who’s caught her eye. One by one, the stories she knows about herself fall under her analytical gaze. What and who can she believe, trust? That cute guy teases against everything her mom has taught her. This is YA, so with that hint of first love, I know it’ll play a role in the book. Driza sets a fast, tense pace, filled with teenagers you’ll love and hate. You’ll disappear into Mila’s slightly off world. BFF Kaylee pops from the page with her rapid-fire talk and her boy-hungry eyes. From homeroom to wandering the halls to hanging out after school, or home with her mom-vet at the place they’re renting, Driza sets up this cool girl who doesn’t quite fit in, but who does when you’re the dreaded new girl at the school? Just wait until Driza reveals more of Mila’s background, building us to the impending tipping point in Mila’s life. Those discoveries ratchet up the tension. Who wants her back, and what will they do to Mila, her mom, her friends, if they find her? As Driza introduces characters, I connect with some and dislike or hate others, all for the right reasons. Driza shows me the world through Mila’s eyes, and I trust her view. When she senses a person’s off, I believe it because Driza has shown me that through the character’s actions. Some of these characters I hope to see redeemed. Others, I’m fine if they turn out as dark as they seem, and Driza has me rooting for them to get the end they deserve. 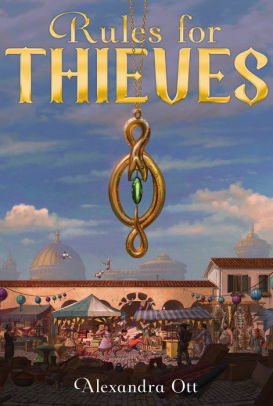 By the end of the book, Driza ties off the story lines so that this stands as a complete novel, but I know more is coming since this is a trilogy. All the books have been released, along with prequel. Towards the end Driza introduced another character and gave me clues hinting the character is NOT the fully in-control person she thinks herself to be. I’m betting she’ll be in a future book, and if so, it’ll be fun seeing where Driza takes her. I enjoyed this strong debut (the first book the author has released). I gave it a 4 rather than a 5 because it was easier for me to put down versus the books that allow me to set aside what I’m supposed to be doing in favor of a few more chapters. Mila’s a smart girl, but there were places where I figured she should have “gotten” something before she did. Writers like to give us readers the chance to figure it out, adding the tension as we ache for the character to make the same connection. While I didn’t find the book predictable, no plot twists took me totally by surprise. All in all, and enjoyable read. While I do want to continue her story, I have so many books on my shelves, I’ll turn to them. I do intend, someday, to either borrow the rest of the series from the library or ask for them for as birthday gifts. Learn more about Debra Driza at her publisher’s page. At the time of this review, the book holds a 4.6-star review on Amazon with 38 reviews. Book Obtained By: Purchased from Amazon after the author presented workshops at the Upper Arlington Library (Ohio) Write Stuff event in November 2016. “thin space n. A point where the barrier between this world and the next is thin enough for a person to step through to the other side. Ever since the car accident that killed his twin brother, Marshall Windsor has been consumed with guilt and crippled by the secrets of that fateful night. He has only one chance to make amends and set things right. He must find a thin space—a mythical point where the barrier between this world and the next is thin enough for a person to step through to the other side. But when a new girl moves into a house down the street, the same house Marsh is sure holds a thin space, she may be the key—or the unraveling of all his secrets. Jody Casella builds a likeable, hurting character in Marshall (Marsh) Windsor. His family and school are at wit’s end with his obsession of shuffling around in his bare feet, despite the freezing cold and snow on the ground. He’s going through the motions at school, detached from everyone he used to call friends, even picking fights with them, as he beats himself up for the accident that busted up his face but killed his twin brother. All the while, he needs his feet bare in case he touches a thin space. Each page, Marsh’s hurt grows as he searches those public spaces while he yearns to enter the empty house where an old lady died. She was the one who told him and his twin of thin spaces, and it’s the best shot he has. But when a family from down south buys it, he finds a girl hurting in her own way at this abrupt move—Maddie. Her drawl sets her apart as much as her sadness, but around Marsh, she has glimmers of happiness. With their friendship built on a lie—his desperate need to get into that house—what will happen between them when everything unravels? Guidance Counselor, parents, friends and former friends, neighbors, each other, who can these kids trust? I’m already past the driveway when I turn to see Maddie dragging her arm across the glass. I don’t know what I’m thinking, but I stride back, step between her and the car, and swipe the snow off fast. I can see her out of the corner of my eye, shivering in her thin jacket, looking down at my boots. This book, solidly written, carries all that hurt of high school, deepened by the need to make up for one horrible decision you’d do anything to take back. 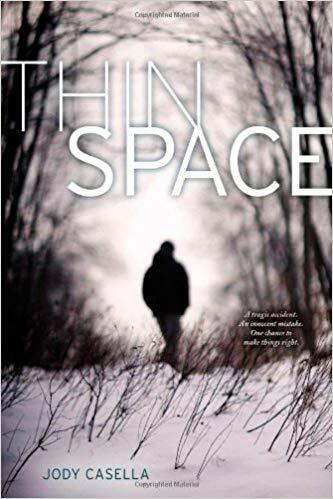 Now that it’s getting colder, why not curl up with Thin Space? Learn more about Jody Casella at her website.